If you are having a home birth (or birth at a freestanding birth center), a hospital transfer may be needed in the case of a complication or emergency. Ironing out your transfer may seem scary or nerve-racking but it is something that needs to be done. It is your responsibility to yourself and your child. Let’s be clear: "5 minutes to the hospital" does not exist. Even if a woman actually does live within a couple miles of a hospital, there’s more to it than that. You need to look beyond the door-to-door transfer time. First thing’s first: getting out of the house. If an ambulance isn’t involved, then it’s up to the birth team (partner, midwife, doula, whoever) to get the mother covered up (laboring with little to no clothes on, being in a tub or shower, is quite common at home births), out of the house and into the car. This will take a few minutes or more. If the mother is in active labor, she will need a lot of help. Rushing out to a car (or anywhere) while having contractions is not easy. If an ambulance is called, you need to wait for them to arrive first. Upon arrival, don’t be surprised if EMTs won’t just “scoop and go.” Call your local fire department and ask them what their protocol is for an emergency birth situation. EMTs typically have their own monitoring/assessment they need to do before loading up the mother and heading off to the hospital. If the mother is crowning and birth is near (or if the mother is in the middle of giving birth), they may even make the mother stay home to fully deliver the baby before leaving. Once you are loaded up, where will you go? Don't make assumptions about where your midwife or the EMTs will take you. Make sure you know which hospital is in the transfer plan. What will happen when you get to the hospital? What kind of staff do they have available 24 hours a day? Should you go to the Emergency Room? Or to Labor and Delivery? Will they need to call in an OB? If so, how long does it take for an OB to get there? Other things to consider if it becomes an every-minute-matters situation: Do you know approximately how long it will take for an ambulance to arrive at your home? Is traffic something you need to worry about? Does your midwife have complete and accurate records for you and will she have them when you’re in labor to take to the hospital (blood type record is important)? If you don’t go via ambulance, the hospital won’t know you’re coming (unless someone calls ahead) so do you know what your hospital’s protocol is when a woman comes in during active labor in an emergency situation? 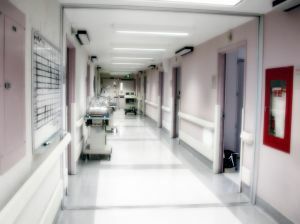 Depending on the type of hospital it is, that can make a huge difference in how fast they can get you the help you need. Be honest with yourself and be thorough. An emergency in childbirth can happen with little to no warning even for a low-risk mother, and even with the most skilled caregiver in attendance. Previous: Will Your Baby Be Born By Scheduled Cesarean? Prepare Now!